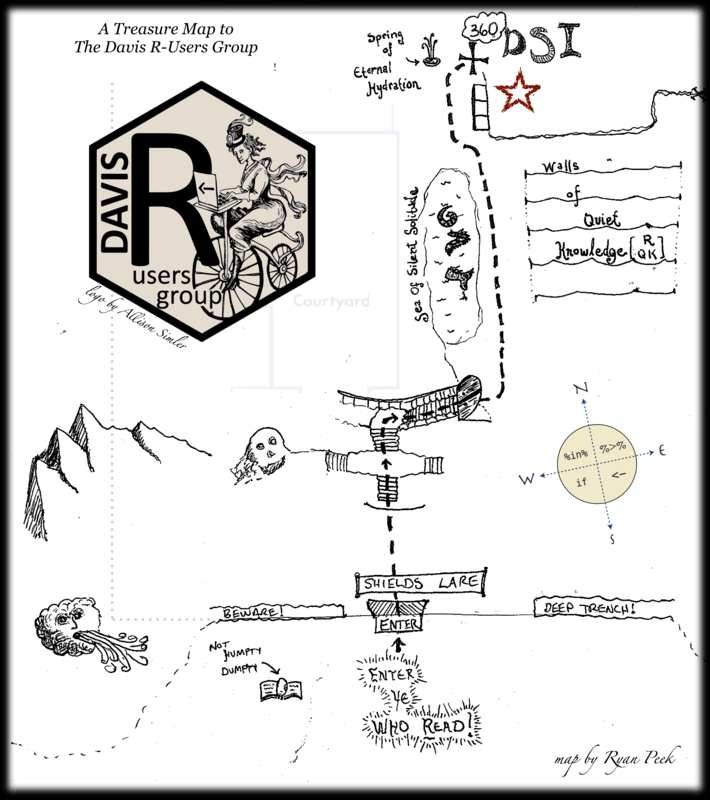 Welcome to the Davis R Users’ Group (D-RUG)! We are a community of R-Users at UC Davis who support each other in using R for science and research. Our focus is providing a space for beginning and intermediate users to learn from each other. We have weekly, 2-hour work sessions where people bring their computers to work on their own projects, and ask each other questions as needed. We have no TAs - just mutual support from folks working on/in R and related topics. Group members sometimes give short presentations on R methods and best practices or to get feedback on their projects. Join the group listserv here. The mailing list is an online supplement to our in-person work sessions, and a friendly place to post R-related questions. Spring 2019: We’ll be meeting on Thurstdays from 12:00–2:00pm in 360 Shields Library (the Data Science Space on the third floor of Shields Library). Please come join us, and check the calendar for potential upcoming presentations and workshops! We’ve compiled a list of resources to help you get started using R and find answers to your questions. Click on the “Getting Started” or “Past Presentations” tabs above to check them out.